Nothing seems to give parents and educators more anxiety than a child who isn't reading "at grade level." Just a generation ago, public schools in the U.S. didn't begin formal reading instruction until first grade. Today, a child who enters kindergarten without knowing all the sounds of the alphabet or who isn't reading simple books by the beginning of first grade is likely to be targeted for remedial instruction as soon as they walk in the classroom door. On the other extreme, some parents whose children who start to read at age three or four take it as a sign their child is more intelligent than their peers. They may push to get their offspring into gifted programs and assume their early lead with print gives their kids an advantage that will carry them into college. But are these assumptions valid? At What Age Should Children Begin Reading? The fact is, many educators believe that the range of what's "normal" for beginning readers is actually much broader than public schools acknowledge. In 2010, Boston College professor Peter Gray wrote in Psychology Today about a study at the Sudbury Valley School in Massachusetts, where a philosophy of child-led learning meant that the age at which students began reading ranged from four to 14. And the age a child starts reading doesn't necessarily predict how they will do later on. Studies have found that there's no long-lasting advantage for students who learn to read early. In other words, children who learn to read later than others usually catch up so quickly once they start that within a few years there's no discernible difference in ability between them and early readers. Among homeschooling kids, it's common to find youngsters who don't learn to read until age seven, eight or even later. I've seen this in my own family. My older son began reading on his own at around age four. Within a few months, he was capable of reading chapter books like Danny and the Dinosaur all on his own. By age seven, he was up to Harry Potter and the Sorceror's Stone, often reading ahead on his own after our bedtime readaloud of the series was over for the night. His younger brother, on the other hand, let it be known that he was not interested in reading at age four, or five, or six. Attempts to sit down and learn letter combinations with a popular series like the Bob Books produced only anger and frustration. After all, he was listening to Harry Potter every night. What was this "cat sat on a mat" stuff I was trying to foist off on him? If I left him alone, he insisted, he'd learn to read when he was seven. In the meantime, he had someone at hand to read whatever was required, in the form of his cooperative older brother. But one morning, I walked into their shared bedroom to find my younger son alone in his bed with his favorite Calvin and Hobbes collection, and his older brother in the upper bunk reading his own book. Sure enough, his older brother had gotten tired of answering his beck and call and told him to read his book himself. So he did. From that moment on, he was a fluent reader, capable of reading the daily newspaper as well as his favorite comic strips. Older But Not Reading -- Should You Worry? Did this three-year difference in reading affect them later in life? Not at all. Both boys went on to earn As in college English classes as high schoolers. The late reader even beat his brother on the reading and writing portions of the SATs, scoring in the 700s on each. 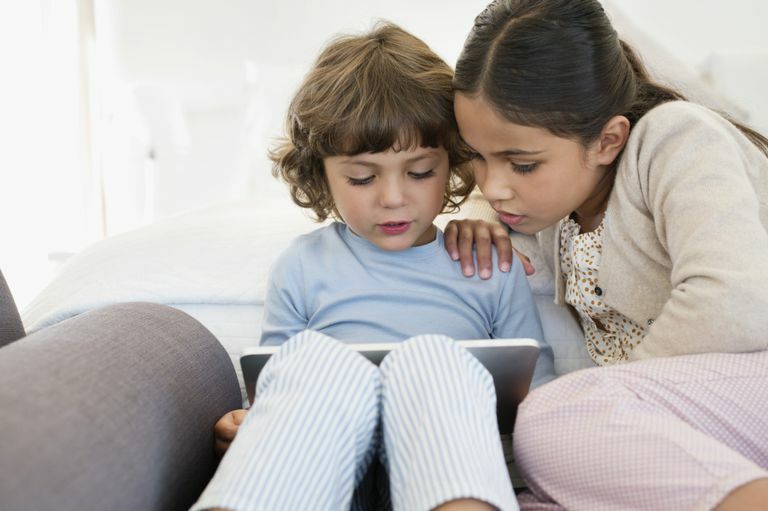 Keep them challenged by adding non-text-based sources of information, such as videos and podcasts, to your stock of interesting reading material. Of course, some reading delays do signal a learning disability, vision problem, or other situation that should be looked at more closely. But if you have older non-readers who are otherwise learning and progressing, just relax, keep sharing books and text with them, and let them learn at their own pace.